As each Explore Floral Design class ends I ask the students to review the class so I can know what they are thinking and how to always improve the content and needs of the students. Without them providing this information I couldn't meet and exceed their expectations....many thanks to all of you!! + I enjoyed my EFD experience very much & would highly recommend the course to floral, color, composition design enthusiasts. Reflecting on the course, I am most grateful for the exposure to industry standards tools & techniques. Our classes were rooted in design guided by current business practice. Christina is a wealth of information & a dedicated teacher. +If anyone is interested in floral design or already a florist and want to learn cutting edge techniques,please take this class( EFD). Christina is amazing at what she does and really stands behind her students and wants nothing but them to succeed! You gain a lifetime of knowledge and friendship when you take this class or any of her others! 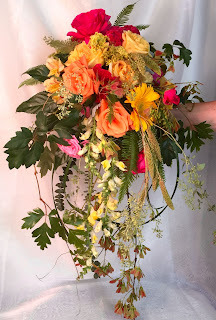 +I really enjoyed learning the basics of floral design. Christina's teaching method was very helpful and went through all the essentials needed to start a floral design career. It brought my passion for flowers to a whole new level. +Christina is an excellent teacher, and very knowledgeable of everything she taught us in class. I loved everything about the program and will take some advanced classes in the future. +I enjoyed diving into the world of floral design through this class. I appreciate the level of experience and professionalism that you have amassed and share with your students. Curious as to what's going on in the world of cut flowers? Here is a summary put together by our fabulous purchasing department - enjoy! Dahlias- EXTREMELY LIMITED!!! Did I say hard to get? Early Bird Pricing in Effect NOW! Early Bird pricing for the 2016 Symposium is in effect! Get "Inspired" now and save up to $150 on your registration. "Inspiration" is a five day event that will feature 14 high-level stage presentations from never before seen international talent and emerging designers from the USA. Symposium also includes a welcome reception, two celebratory dinner events, a student competition and two half-day expos of floral industry suppliers. All activities will take place in the exciting and newly renovated Anaheim Marriott Hotel. Click here to view Symposium details! ​How Was Your Valentine's Day? Our Slow Flowers community was out in force during the weeks leading up to Valentine's Day, offering the answer to consumers who ask: "where are these flowers grown?" and "who grew them?" We were ready for the buzz at Valentine's Day for good reason. The media is always seeking something novel and new to share with audiences. 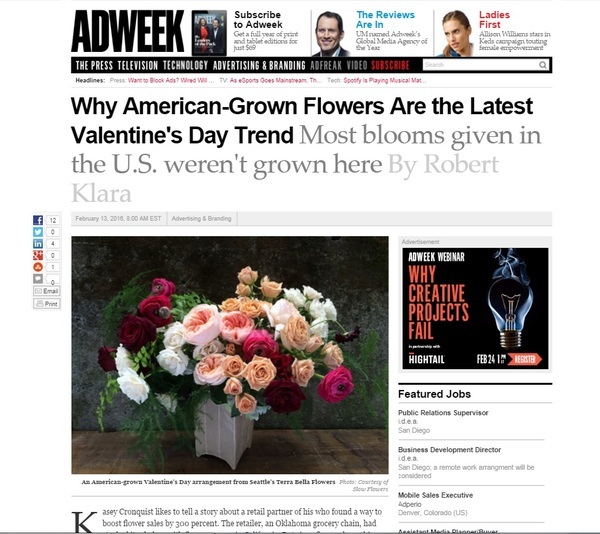 Slowflowers.com was mentioned in several online and print stories across the U.S., but we were especially jazzed to read the fantastic February 13th piece that ran on Adweek.com. 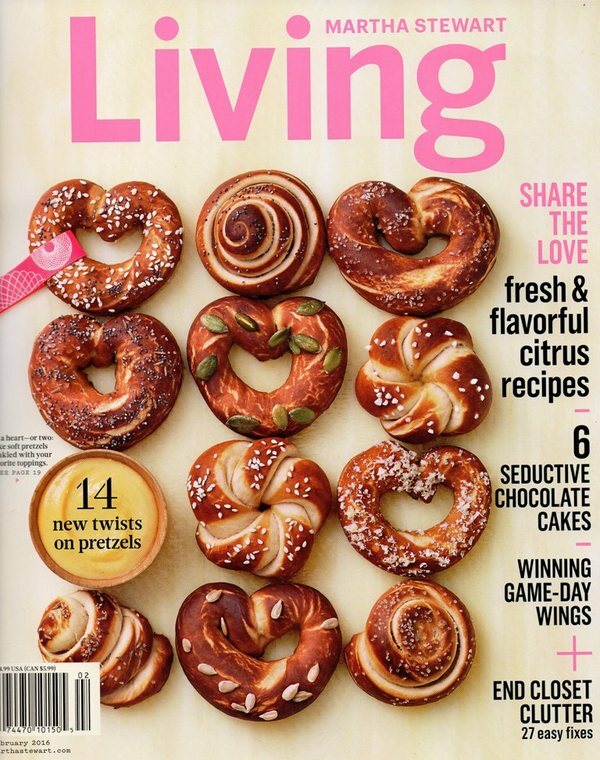 With an average monthly online readership of 3 million, the trade magazine, seen above, generated lots of attention, reposts, and links for its story. Editor Robert Klara quoted Debra Prinzing, founder of Slowflowers.com, and member Teresa Sabankaya of Bonny Doon Garden Co. in Santa Cruz. He asked for images -- and we were happy to share a gallery of American Grown Valentine's Day arrangements collected last fall. Above, you see an arrangement designed by member Melissa Feveyear of Terra Bella Flowers. Other designs included in the story came from Slow Flowers members Nikki Shenk of Linger Flowers and the design team from Foxglove Brooklyn. Yay team! Did You Catch Slowflowers.com in Martha?! The article features a beautiful early spring arrangement from Slow Flowers member Kathleen Barber of Erika's Fresh Flowers. 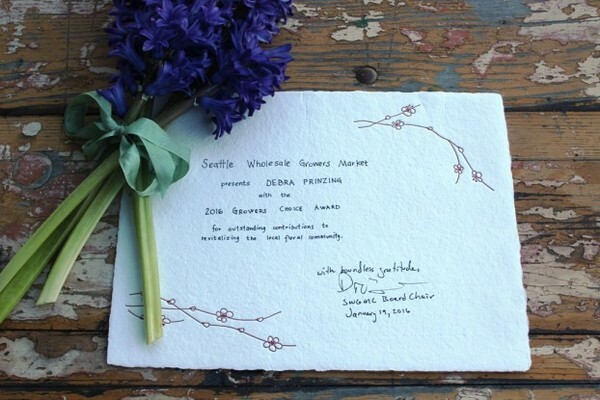 Those of you who’ve been listening to the Slow Flowers Podcast with Debra Prinzing know how much I love to interview flower farmers and florists about their role in the American Grown/Slow Flowers Movement, right? 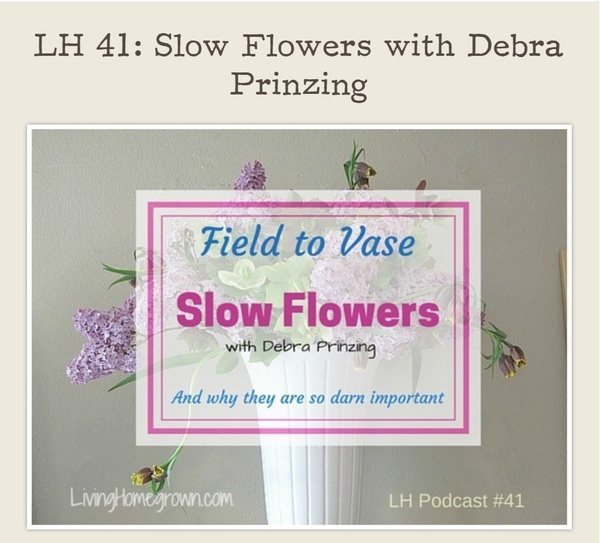 Recently, my friend Theresa Loe of the Living Homegrown Podcast turned the tables on me with an interview about the Slow Flowers Movement. I am so honored that she took the time to bring the message of seasonal and local flowers to her audience of listeners who are passionate about seasonal and local food. 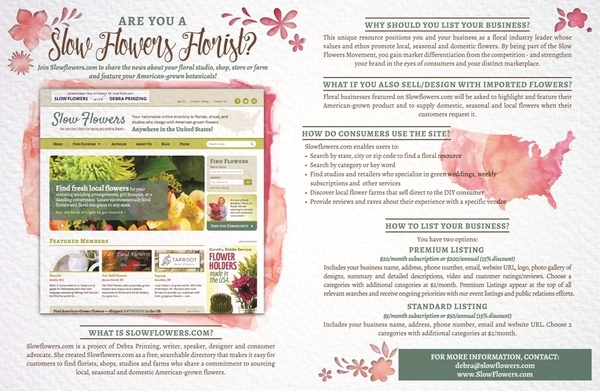 Slow Flowers has just released new resources for Florists, Flower Farmers and Sponsors. You can print and share these graphics with colleagues in your region. The Certified American Grown Brand gives consumers confidence that the bouquets and bunches they purchase come from a domestic flower farm. 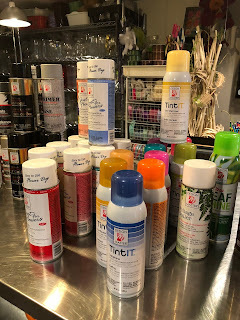 Better flower care keeps your flowers even fresher, maintains the quality that you stand for and increases the flower enjoyment for yourself and your customers. 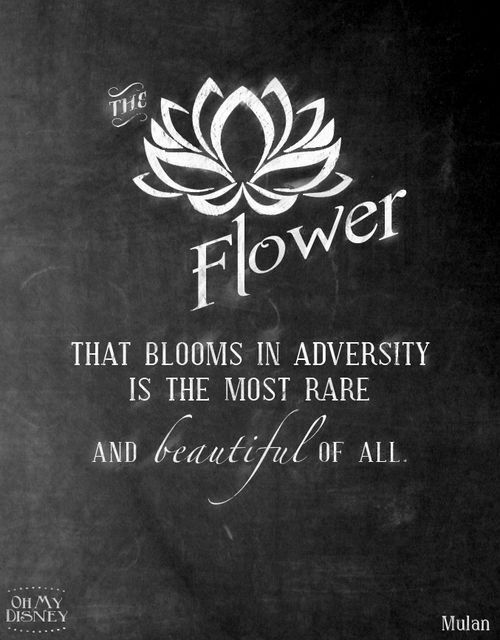 Our collaboration with Chrysal will bring you more knowledge about caring for flowers. Find out what type of flower food you need to use and how to use it. Ever wondered how flower food affects flowers? We have the answer. Watch time-lapse videos to see how much the vase life improves by using Chrysal flower food. Chrysal flower care will be available soon on Flowerbook V2.0. 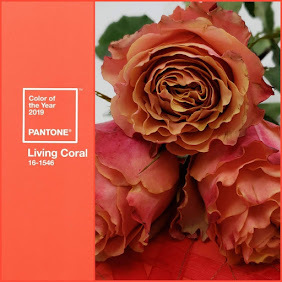 Copyright © 2016 Flowerbook BV, All rights reserved. You have signed up for FlowerBook application.